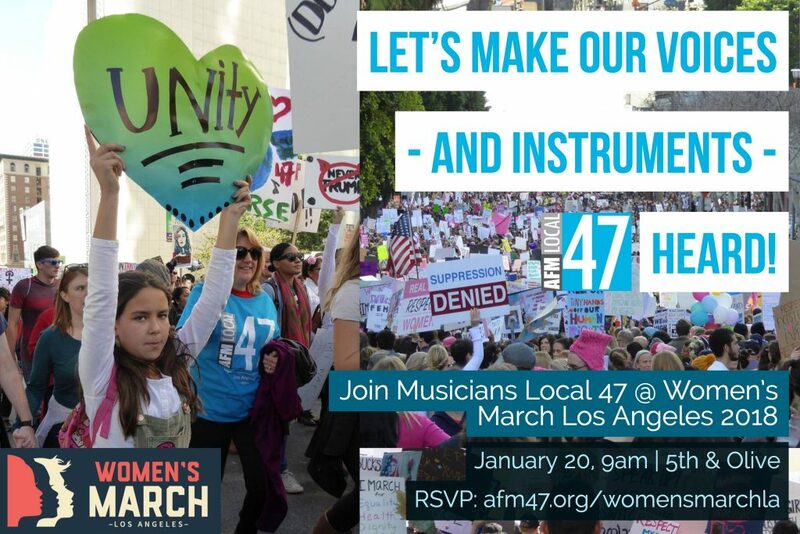 One year ago musicians made history by being part of the largest demonstration ever in Los Angeles. This year we will make our voices (and instruments) heard in the streets AND at the ballot box. Musicians are taking a leadership role among entertainment unions: turning activism into political power for working people. Join us as we kick off a new year. This entry was posted in All News, Events and tagged activism, organizing, WMLA, Women's March, Women's March Los Angeles on December 27, 2017 by admin.